﻿I just received my second B.A.S.K (Beauty Assortment for the Sunned Kissed) order, so I thought that it was time to write a review. Especially, since I have been enjoying the results of using the products. Product Description: Silky light, conditioning hair lotion for detangling of dry curls. Quenches thirsty curls using unrefined raw honey & conditioner – but to also detangle dry tresses with emollient babassu & castor seed oils. I’ve used this hair milk several times for my wash and go and it has worked wonders. I have noticed (for me) that it works best when I use it after co-washing my hair and applying while my hair is wet. Most of the time I first add my leave –in conditioner then I would add the hair milk. I use about one to two pumps and rub it in my wet hair, finger comb then done. My curls are shiny, moisturized, defined, and fizz free. Perfection!!!! The Vanilla and Nectarine, smells like butterscotch. Didn’t like it on dry hair, felt like a film was on my hair. 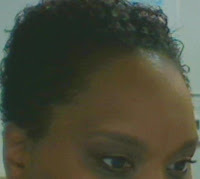 Final Thoughts: Excellent for defining and moisturizing curls. Definitely worth a try! I’ll be adding this one to my rotation.